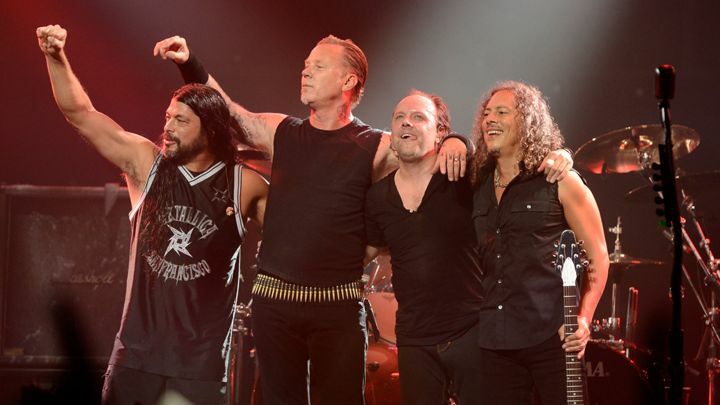 Entire Metallica Catalog – and new album- on Napster! Today didn’t seem possible 16 years ago – not only is Metallica’s entire discography now available on Napster, but the band is releasing their upcoming 10th studio album over the platform as well! The band brokered a deal with Napster through their independent record label, Blackened Recordings. The news seemed impossible as Metallica and Napster were involved in a bitter lawsuit back in 2000 regarding copyright infringement. Napster has gone from a simple P2P file sharing site to a full streaming app now owned by Rhapsody. Metallica is also giving each and every one of the songs off Hardwired…To Self-Destruct its own music video and releasing all of them a day before the albums’ release, giving fans an early listen. Metallica’s latest album is due out Friday November 18th.